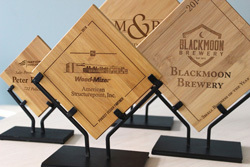 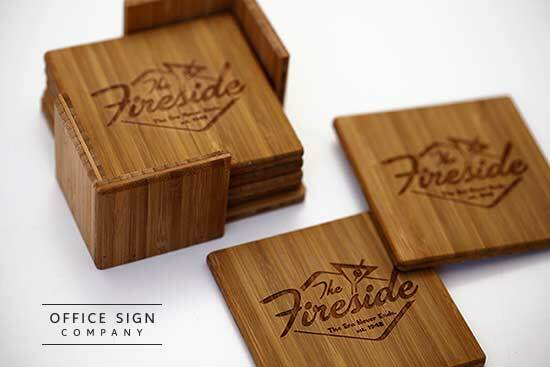 Customize these stylish coasters with any name, message or company logo. 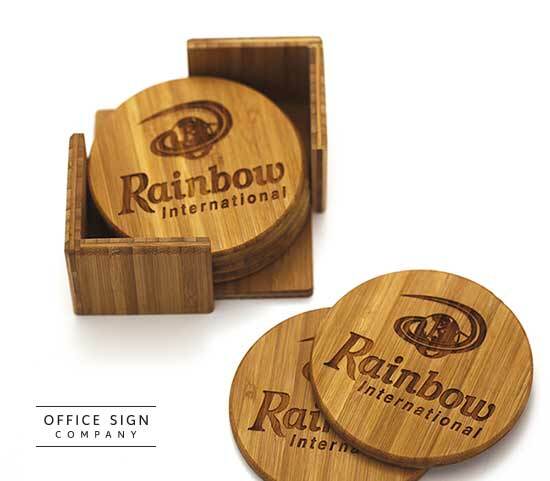 Round or square coaster choices. 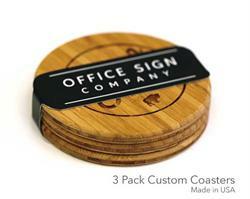 We make our coaster in house, by hand and in America! 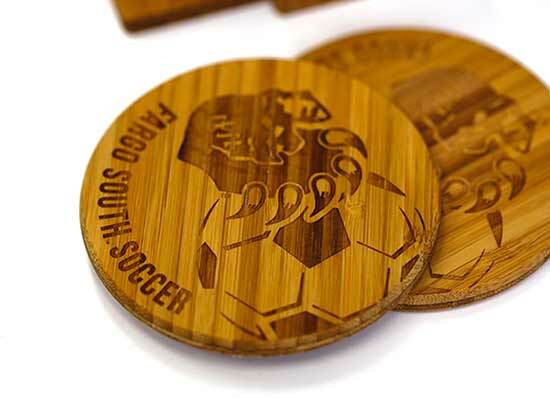 Do not accept a the cheap substitutes as you will notice the quality of these coasters. Set of 6 personalized bamboo coasters with custom holder - Also available in a gift-friendly 3 pack of coasters. Coasters measure 3-5/8" in size and are approximately 1/4" thick. 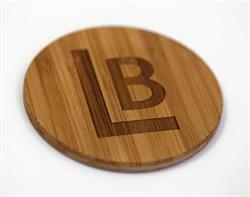 Free text, names or logos. Bamboo is a gorgeous look, a renewable resource and a green choice. No setup charges. 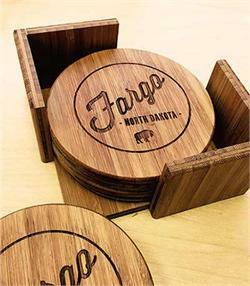 Hand made, American made product in beautiful Fargo, ND.